I got an early Christmas present this July, when I was selected as one of the vendors for Yelp's Totally Bazaar! This is a fantastic annual pop up shopping party with more than 150 local businesses at Indy's beautiful Central Library. 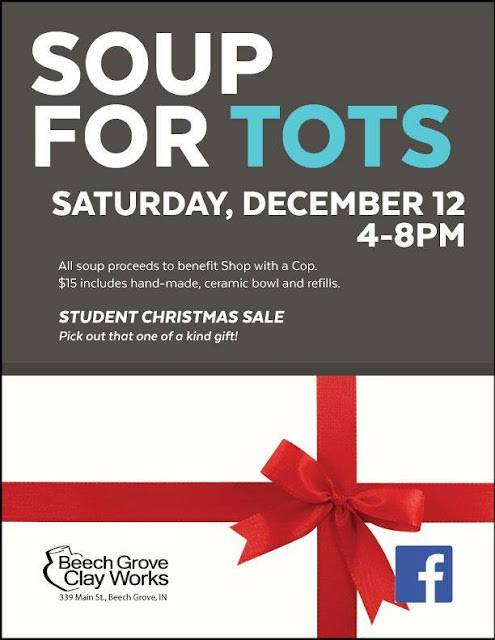 It's from 6:30-10pm on Thursday, December 10th. Find all the details here! 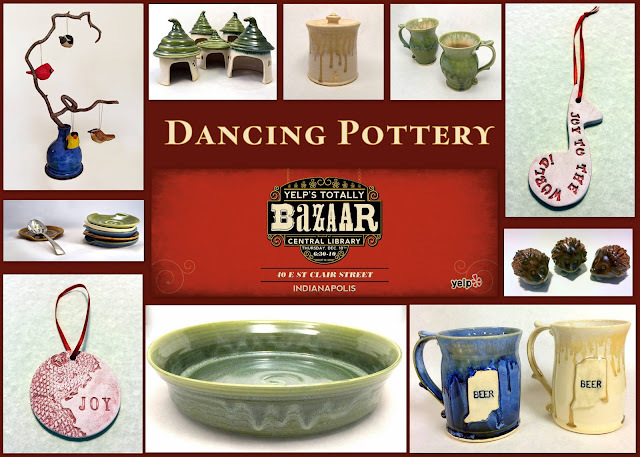 On the heels of Totally Bazaar is Beech Grove Clay Works annual holiday fundraiser and sale. Join us at the studio, buy a member-made bowl, eat delicious soup, browse through other fabulous work by our members, and have a fine time! Soup for Tots is Saturday, December 12th from 4-8pm.